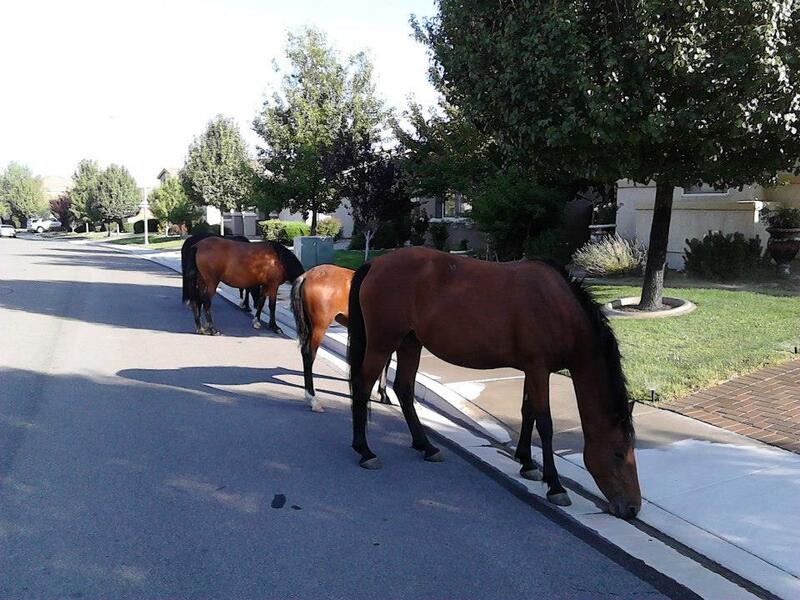 WILD HORSES IN THE BURBS! …couldn’t drag me away…etc. 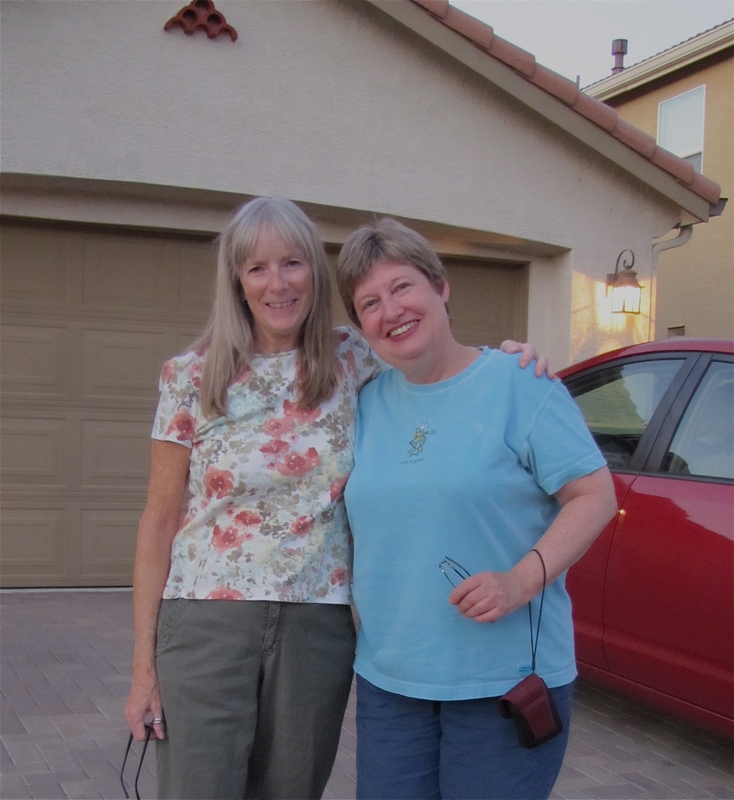 These pictures were taken by Sue’s, and now my friend, Darlynne. we were hoping for a wild horse encounter. But, alas, not a trace. No, that’s not true – we were dodging more than traces of the four-legged visitors; in the form of road apples (AKA horse poop). Because of the high standards of this blog, we chose not to document the aforementioned evidence. As you can see below, we do have documentation of their recent presence. 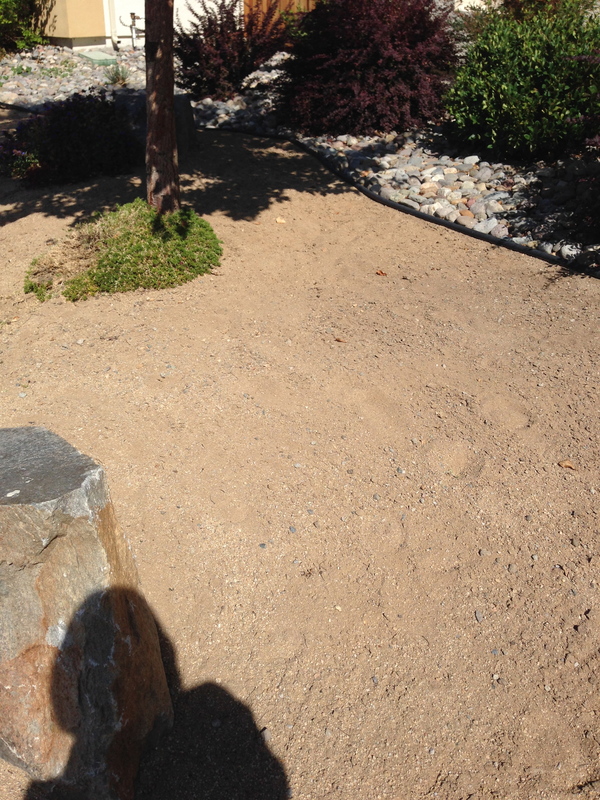 Those are hoof prints in the dirt. According to Darlynne and Paul, the horses come down from the mountains in search of food and water. 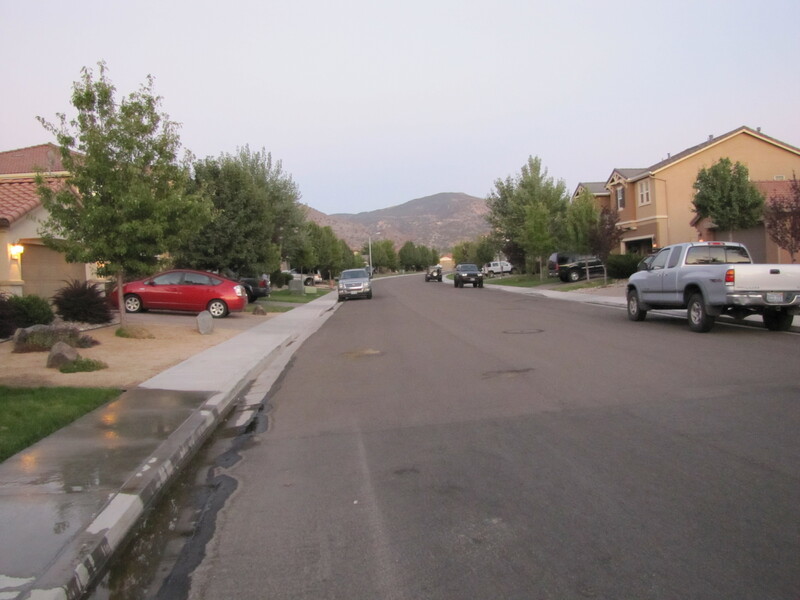 They do some damage to the vegetation in the neighborhoods but are not particularly threatening in other ways. It is a concern, though, as they run the risk of getting hit by a car or otherwise causing an accident. And, although, it is not advised, some people feed the horses; causing further, unsafe dependence on humans. 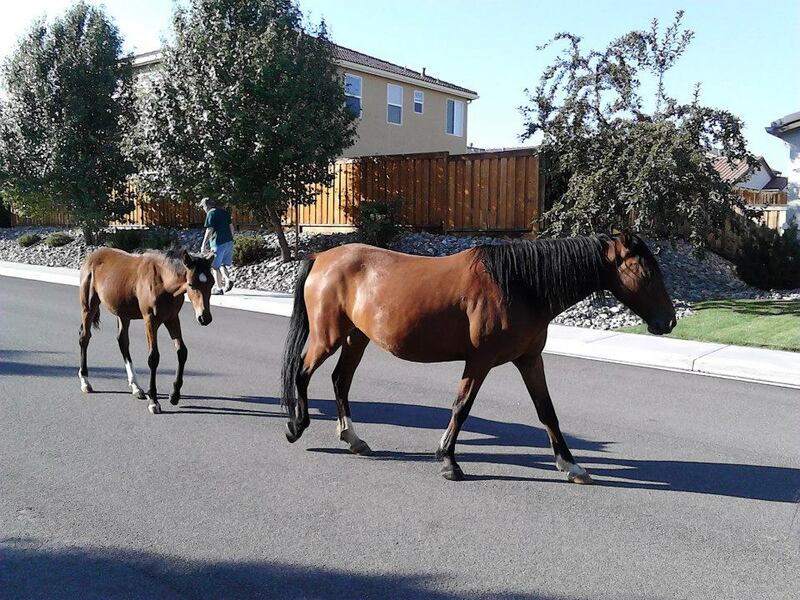 It would have been a magical experience to actually have seen the wild horses in the neighborhood, but it was fascinating to see pictures and hear about it from Darlynne and Paul. Now every time I sing “Wish I Were a Cowgirl” I’m going to think about these beautiful Mustangs.